DeJuana Smith is the owner of Future Focus Childcare, LLC, a childcare center for innovation and education featuring STEM based curriculum. She is CPR certified and has taken a variety of training programs required by the state licensing department. The center is affiliated with the Keystone STARS Core Series Quality Improvement program as a Level 2 center as well as an approved Head Start site. 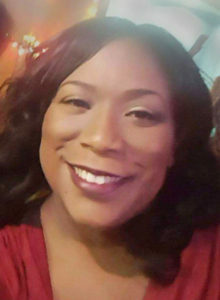 Licensed as an early childhood educator and child care provider in Penn Hills, Pennsylvania, DeJuana has successfully run the Smith Family Daycare from her home since 2002. During that time, she obtained a child development diploma and an Associate’s Degree in early childhood education through the Community College of Allegheny County. The in-home family daycare business outgrew her single family home and she opened Future Focus Childcare Center in the spring of 2017. As the Director of Future Focus Childcare LLC, DeJuana plans to provide a safe and happy environment for each child that will stimulate the physical, intellectual, multicultural, social, and emotional growth at their own pace. The center offers loving care that focuses on each child as a unique and wonderful individual. Children will learn self-esteem and respect for others. A Creative Curriculum, along with a dedicated STEM center with plenty of open space for gross motor development will be offered. STEM develops children’s thinking, reasoning, creative and investigative skills and incorporates Science, Technology, Engineering and Math. We will work diligently to focus on the future of our children through play.